Are you looking for car leasing offers to help bring down the cost of running a car? Then you’ve found the right place! Five year's Roadside Assistance Programme, 4 Years Car Tax. 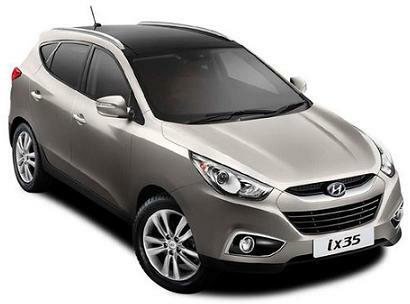 All Hyundai iX35 Premium car offers are based on Car Leasing, 5,000 miles pa, 3 or 6 in advanced followed by 47 or 35 as appropriate. Business contract hire plus VAT / Personal car leasing deals include VAT. Car Tax included for the term of the leasing offer. No Admin Fees or other cost, what you see is what you pay !